How do lawyers function in today’s changing legal market without running afoul of the ethics rules? What must lawyers include in their social media profiles and posts? How technologically competent must a lawyer be? How secure must lawyers keep client data? Can lawyers accept credit cards or cryptocurrency? What should lawyers do if they receive a bar complaint? The business of law is constantly evolving. Staying out of trouble requires that lawyers understand the latest interpretations and applications of the ethics rules. It also requires us to figure out what to do when the rules and modern business and technology are not in sync. 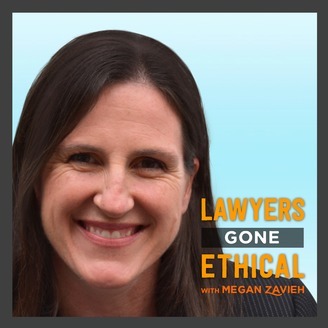 Join host Megan Zavieh, state bar defense and ethics attorney, and her guests as they discuss today’s most pressing topics and practical tools to help you navigate the ever-changing ethics landscape. Social media is a necessary part of doing business in the digital age. As a lawyer, it’s important to be personable, likable, and professional on social media, but how exactly does one do that? In this episode, two well-informed and experienced attorneys discuss how to utilize social media and use it as a tool to connect your community and become the authority in your niche. They also cover the why, the what, and the how of avoiding common mistakes. 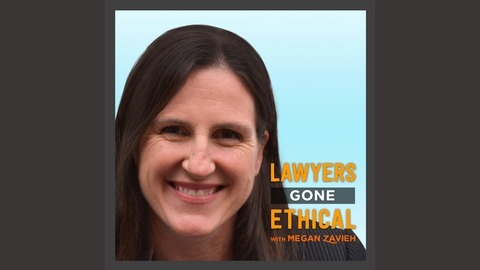 To learn more about how you can use social media to your advantage and create a well-curated business platform, tune into this episode of Lawyers Gone Ethical featuring Megan Zavieh and Erin Gerstenzang.